Hamas claimed Sunday Gaza's terror groups have agreed to a "lull" in attacks on Israel to avoid strong retaliation for terror strikes. Hamas officials in Gaza say all of the region's terror groups have agreed to a cease-fire in hopes Israel will end the three-day counter-assault it launched following Thursday's deadly terror attacks that resulted in 8 dead and 33 wounded. Terror attacks in the form of rockets and mortars fired at communities in southern Israel from Gaza have continued round-the-clock into Sunday. According to reports Egypt helped broker the cease-fire, which will go into effect Sunday evening. The officials say Egypt told the groups that Israel would halt its airstrikes only if they stopped shooting first, and that Hamas security personnel would have to enforce the agreement. Launching terror attacks and then unilaterally declaring a cease-fire without Israel's participation is a common tactic by Gaza terror groups seeking to kill Israelis and then leverage international opinion against Israel to avoid the consequences. Earlier, Islamic Jihad officials said leaders from Gaza convened in Cairo to discuss the possibility of a cease-fire with Israel, but shortly thereafter two mortar shells were fired at Eshkol Regional Council, and sources in Gaza reported airstrikes had resumed. According to sources, seven people were injured in an Air Force bombing of a Hamas site. A training camp belonging to Al-Ahrar Brigades was also bombed, as well as an open area near Nuseirat refugee camp, reports say. No casualties were reported in the latter strikes. In online messages published in forums linked to Hamas and Fatah, the Hamas-government in Gaza allegedly informed all terror factions about a "hudna" agreement - a lull in which one rebuilds their strength for future belligerence - calling on them to stop firing at Israel by 9pm on Sunday. 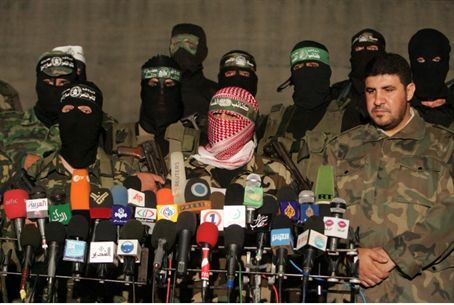 According to Islamic Jihad official Ahmed Mudalal, Gaza's terror factions do not plan on handing Israel a lull agreement "free of charge," adding they will demand an immediate halt to Israeli attacks in Gaza. '"The Islamic Jihad, as well as the rest of the Palestinian factions, are trying to spare our people from the agony of war," emphasized Mudalal. "However if it's enforced upon them, then the people must show patience and the resistance must protect them with all its might." The hope that terror leaders can order the murder of Israelis and then declare a cease-fire to avoid large-scale Israeli retaliation may be wishful thinking, however. On Sunday Israeli officials hinted Israel's current series of counter-strikes may only serve as a prelude to a much larger operation aimed at eviscerating the Gaza terror infrastructure, but no official confirmation has been forthcoming. Meanwhile, Jerusalem officials said Sunday they have no knowledge of plans for a cease-fire or a "hudna" agreement with Gaza's terror groups.